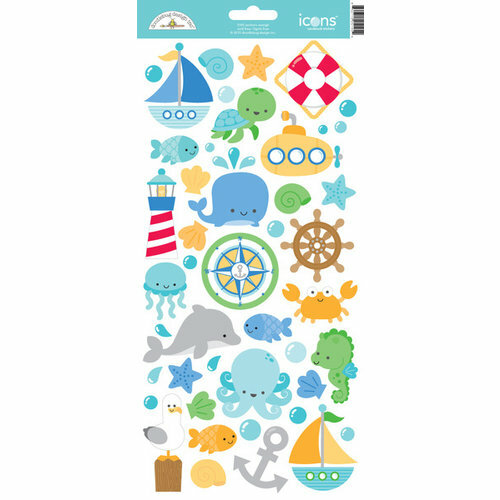 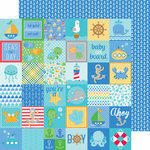 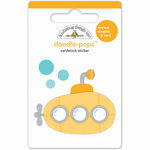 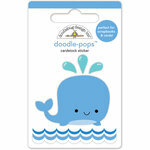 Set sail on the high seas of creativity with these darling and decorative Icons Cardstock Stickers by Doodlebug Design! 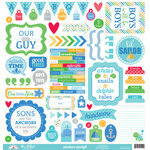 The package contains one 6" x 12" sheet of stickers from the Anchors Aweigh Collection. 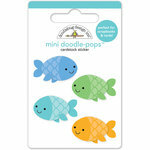 These are the perfect extras for the paper collection. 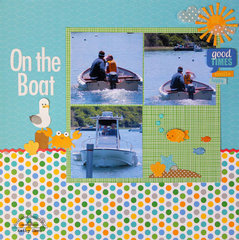 The cards that I've made with these stickers are simply adorable. 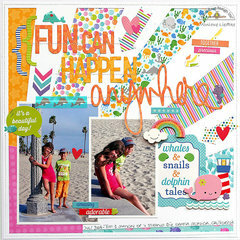 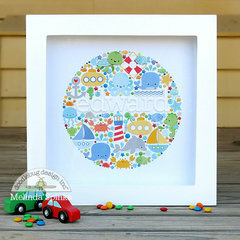 This is another of Doodlebug's 'must haves' - get yours now for summer. 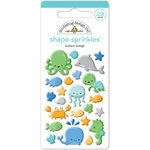 These will be so fun to use to make decorations and a card for my friends baby shower.